Wanna B is not your everyday LA fashion district wholesale clothing store. It is one of the most sought-after wholesale fashion brands in Los Angeles and beyond. And for good reason – Wanna B strives to churn out the highest quality everyday effortless chic look and appeal. Wanna B line isn’t limited to any particular trend or season. 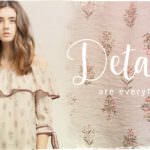 You will find anything from Bohemian-style dresses to contemporary, sassy tank tops. The Los Angeles based wholesale fashion house has a huge following and a wide variety of clients, ranging from small-time shops to high-end boutiques and even large department stores like Walmart, Target and Macy’s. Wanna B modern fashion trends have allowed it to cut a niche for itself among fashionistas and savvy women who look for something chic and stylish yet practical and warm. Headquartered at St. Olive Street, Los Angeles, Wanna B runs a fabulous store complete with a showroom at 2807 S. Olive St., Los Angeles, CA 90007. And, like most LA fashion district women’s wholesale clothing brands, Wanna B an easy to use, responsive e-commerce store as well as multiple other mini-stores via online marketplaces like Amazon, eBay, FashionGo, PoshMark, and so forth. Wanna B Is Great For? Huge Selection of Dresses: Dresses is perhaps the most significant reason why clients love Wanna B. The store stocks a full range of mini, midi, casual, and maxi dresses that come in an assortment of colors, patterns, prints, sizes, and styles. If you are looking for pleated dresses to sizzle up your shop, then Wanna B is your best bet. You can also snag fabulous sweater dresses as well as bodycon. Top-Notch Quality Tops: Tops is the forte of Wanna B. You can find long-sleeved and short-sleeved Wanna B tank tops in all sorts of robust and crinkle colors and patterns. Outerwear for Every Season: When it comes to outerwear, Wanna B is one of the leading LA women’s wholesale clothing brands. Customers can shop for a broad range of blazers, vests, coats, and jackets. If you are looking for outwear in an assortment of colors, embroidery, styles, fabrics, and prices, then Wanna B is your go-to wholesale fashion store. Fabulous Bottoms: Wanna B bottoms are a must-have year-round. They might not be the trendiest pieces out there, but they’ll tide you over without going out of fashion.